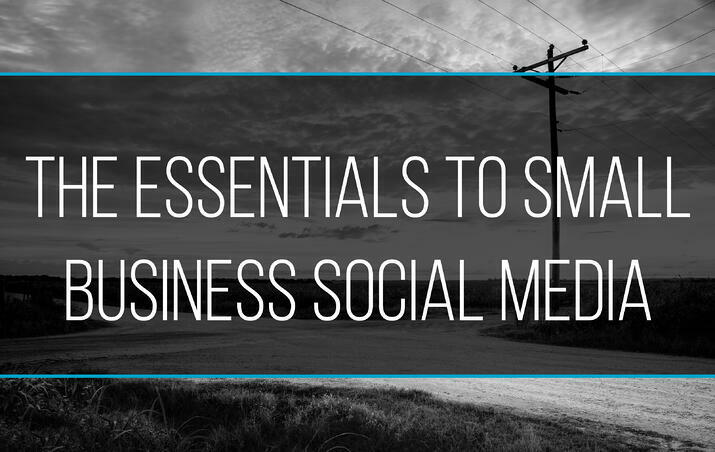 87% of small businesses claim that social media has helped their business. 85% of business-decision makers believe that at least having one social media channel is very important for technology purchase decisions. 40% of small businesses feel that social media helped with their word-of-mouth referrals. Good. Now that you’ve decided you need to use social media to help your small business marketing, let’s go over which social media will best fit your business’ needs. Facebook is the number one social media network in the world. Facebook has 1.3 billion users who on average spend 18 minutes scrolling through every time they visit. Facebook is the most useful social media because of a large number of users which includes all ages. The variety of post styles makes facebook very user-friendly for small businesses because you can post images, surveys, contests, videos etc. Every business should have a Facebook page. Would you like to improve your SEO? Would you like to have social electronic hangouts with friends? Would you like to join the other 300 million users on the fastest growing social media platform? Have I got the platform for you! Google+ is often overlooked by smaller businesses, but this is a big mistake! In summary, Google+ is the platform to use for boosting your SEO. Google+ has profile pages just like Facebook, but you connect with other business and friends, but this is the only social media that integrates SEO into social media. When your friends search something in Google, since they are connected to you and your area they are more likely to connect to your site. Google+ also has an incredible Google hangout feature that is taking over the video call market with its ability to have multiple callers come and go through the process. This is the platform you should use after you have mastered Facebook! It's the fastest growing and it'll make your business look modern. Twitter is always in motion. With 650 million users and being in the top 10 visited site worldwide daily. Twitter is a micro-blogging site that, like Facebook, you can really post anything as long as it's within the 140 character limit. 85% of Twitter users feel more connected with a business that they follow on Twitter. But with that connection comes a price: constant interaction. This is the social media platform to make conversation with your customers, which means replying to their tweets, tweeting often and staying on top of the news. Having a Twitter presence is no easy task and should not be taken on with the same amount of effort as a Facebook account. On average Twitter users spend 170 minutes on the social network daily, often in small windows. An easy way of thinking about Twitter is public texting -- this is a conversation, not a status. This is a social media site for professionals. For small business owners, this platform would be useful for creating business relationships and keeping tabs on competitors in your area. LinkedIn is the most serious of our listed social medias. This is not the platform to share personal pictures, but the site to share professional accomplishments with the other 230 million users. Although LinkedIn is a significant social media platform, it shouldn't be your top priority for your small business. This is not the platform that will be bringing in the most customers, but it will bring in the most business contacts. Instagram is a picture sharing platform. On this purely visual platform, the 200 million users can post a photo with a caption and comment on others' photos. That's it. This is not a text base social site. Instagram is a very casual social media site (as opposed to the formality of Linkedin), which means this is the platform to use for adding personality to your brand. If you'd like to show off a photo or two of your newest products and promote sales, this could be the social media for your eCommerce. Instagram is owned by Facebook making it very easy to share between the two platforms. Instagram does have a younger demographic with more than 50% being 29 years old or younger. Overwhelmed by all the responsiblity of social media? Don't worry, 5J design will keep you up to date on social media practices.